After much anticipation, we have recently launched our new soy glass jar candles. One of the main benefits of using glass is that you can see the light from the flame all the way to the bottom of the candle. They also look pretty too! Glass bowls are often used as wedding centrepieces, but we think you should be able to enjoy them in your home any time you like as well! They are currently available in the following fragrances: rose, vanilla, frangipani, mandarin & mimosa, white tea, jasmine & honeysuckle and red raspberry. The little votive glasses were just crying out for some colour, so we now have a rainbow of fragrances available in these sweet little candles. 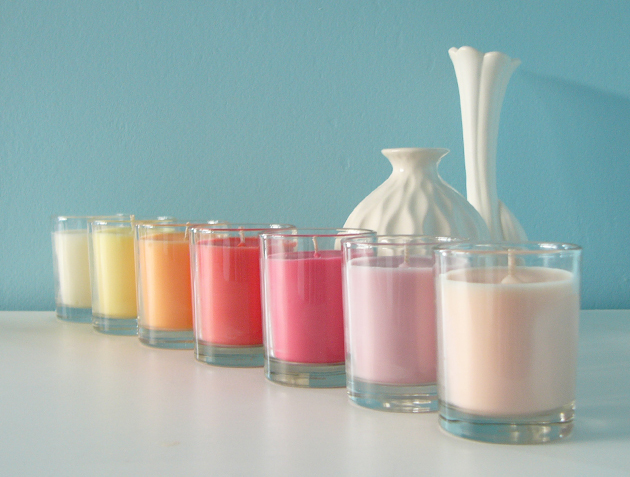 These are also available in the same fragrances as the bowls (listed above). 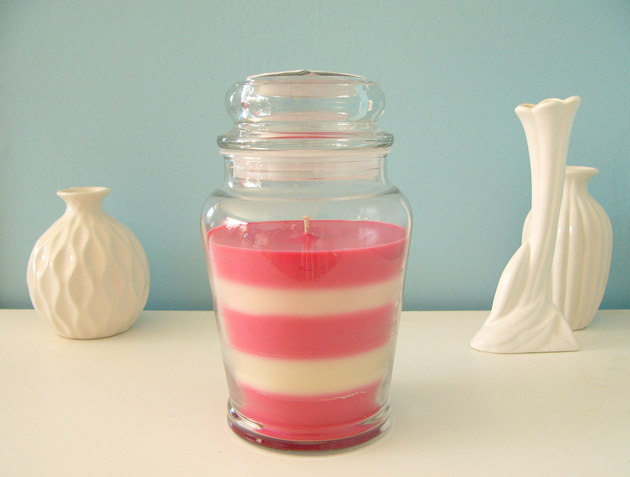 We have also launched a delectable new fragrance, red raspberry. Just try and resist it, it smells good enough to eat! 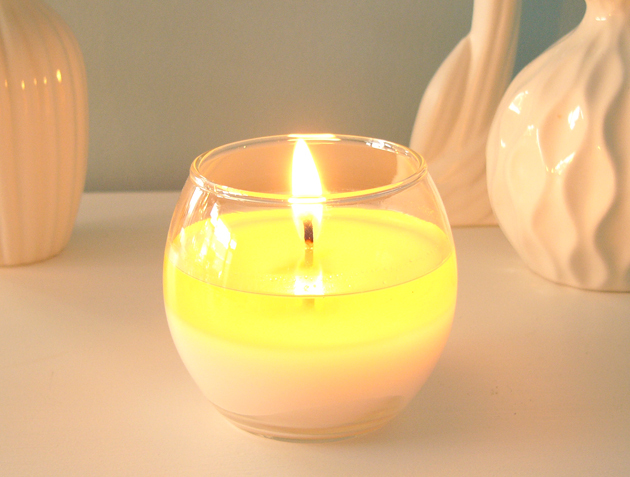 It is currently available in the soy glass bowl, glass votive and tealight candles, along with a one off recycled glass jar candle. We also have some lovely crystal glasses that can be made to order in your favourite scent, perhaps for a wedding, or whatever you like! To celebrate the launch of these new candles, we are giving away this gorgeous prize pack. 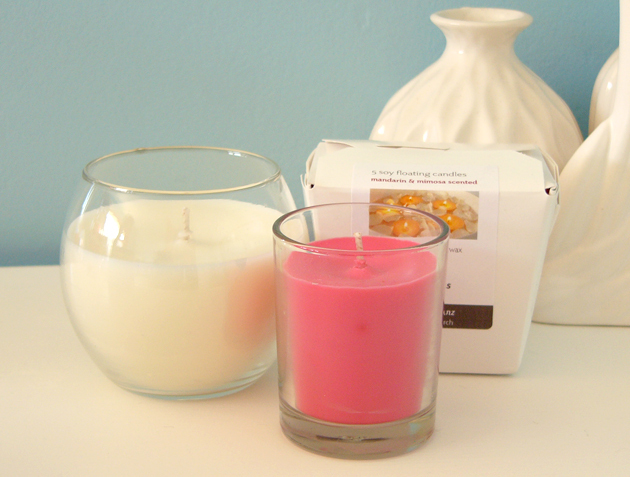 It includes a soy glass bowl candle, a soy glass votive candle and a box of five soy floating candles in your choice of available fragrances. To enter, all you need to do is choose your favourite Rose in Thorns candle from our website and Felt shop, then fill in your details in this form and you're in the draw. It's that easy! Entries close at 8pm on Wednesday the 8th May 2013. Love jasmine!! Ooh that would make a room smell wonderful! Defiantly the vanilla ones I plan on having those and maybe lavender at my wedding next year. Oh my gosh, Red Raspberry would be divine. Would love to be curled up on the couch with it burning right now in this rainy Hamilton weather.